Here you will find a list of our materials! Austenitic stainless steel with excellent corrosion resistance. This steel is good cold deformable (bending, punching, deep drawing), but not easily machinable. Because of its strong Solidification requires appropriate tools. A strong deformation can magnetize the steel slightly.If the steel is kept at temperatures between 500 ° C and 900 ° C, chromium carbides may be found in the Grain boundaries, which makes the resistance to intergranular corrosion catastrophic can worsen. Solution annealing is then needed to dissolve the carbides, followed by a rapid one Quenching to prevent any new excretion. A quenching after a thermal treatment is recommended in any case. This steel is easily weldable by all common methods, except the oxygen-acetylene flame. After welding, soft annealing with subsequent quenching should be performed to eliminate the risk of intergranular corrosion. This material is mainly used in apparatus exposed to strong acid attack. e.g. in the pulp, paint, textile and chemical industries. 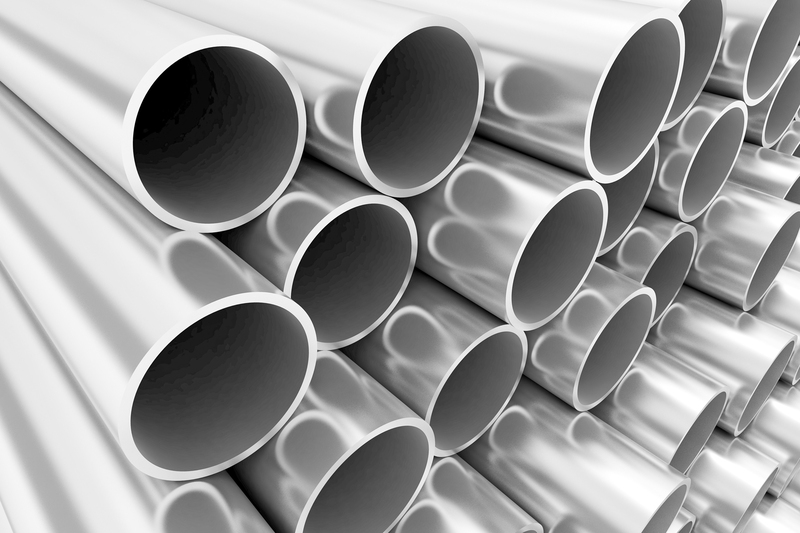 Austenitic stainless steel of medium corrosion resistance, between steels 302 and 316. Its low carbon content prevents intergranular corrosion, but does not get a molybdenum that improves resistance to non-oxidizing acids and pitting. This steel is good cold forming (bending, punching, deep drawing), but not easily machinable. Because of its strong solidification it requires appropriate tools. With strong deformation, the steel can become somewhat magnetic. If the steel is kept at temperatures between 500 ° C and 900 ° C, chromium carbides may precipitate in the grain boundaries, which can catastrophically degrade the resistance to intergranular corrosion. Solution annealing is then needed to dissolve the carbides, followed by rapid quenching to prevent any new precipitation. Quenching is necessary only in the case of large parts. This steel is easily weldable by all common methods, with the exception of the oxygen-acetylene flame. Soft annealing after welding is superfluous. High-gloss polishing capability. Food and beverage processing and in medical technology. The simplest austenitic stainless steel. This steel is good cold forming (bending, punching, deep drawing), but not easily machinable. Because of its strong solidification it requires appropriate tools. Is used for spring tapes due to its high strength and other favorable mechanical properties. A strong deformation can magnetize the steel slightly. If the steel is kept at temperatures between 500 ° C and 900 ° C, chromium carbides may precipitate in the grain boundaries, which can catastrophically degrade the resistance to intergranular corrosion. Solution annealing is then needed to dissolve the carbides, followed by rapid quenching to prevent any new precipitation. Quenching after a thermal treatment is always recommended. This steel is easily weldable by all common methods, with the exception of the oxygen-acetylene flame. After welding, soft annealing followed by quenching should be used to eliminate the risk of intergranular corrosion. High-gloss polishing capability. Food and beverage processing and in medical technology, including as a pull wire. Austenitic stainless steel with excellent corrosion resistance. This steel is good cold forming (bending, punching, deep drawing), but not easily machinable. Because of its strong solidification it requires appropriate tools. A strong deformation can magnetize the steel slightly. If the steel is kept at temperatures between 500 ° C and 900 ° C, chromium carbides may precipitate in the grain boundaries, which can catastrophically degrade the resistance to intergranular corrosion. Solution annealing is then needed to dissolve the carbides, followed by rapid quenching to prevent any new precipitation. Quenching after a thermal treatment is always recommended. This steel is easily weldable by all common methods, with the exception of the oxygen-acetylene flame. After welding, soft annealing followed by quenching should be used to eliminate the risk of intergranular corrosion. This material is mainly used in apparatus exposed to strong acid attack, e.g. in the pulp, paint, textile and chemical industries. Austenitic stainless steel with excellent corrosion resistance. This steel is easily deformable (bending, punching, deep-drawing), but not easily machinable. Because of its strong solidification requires appropriate facilities and tools. With strong deformation, the steel can become somewhat magnetic. If the steel is kept at temperatures between 500 ° C and 900 ° C, chromium carbides can form, which adversely affects the deformation behavior and the corrosion resistance. Soft annealing is needed in any case to dissolve this phase, followed by rapid quenching to prevent any new excretion. Quenching is necessary only in the case of large parts. This steel is easily weldable by all common methods, with the exception of the oxygen-acetylene flame. Depending on the welding conditions, a small proportion of magnetizable residual ferrite may form in the weld. Soft annealing after welding is superfluous. Austenitic stainless steel with excellent corrosion resistance. This steel is easily deformable (bending, punching, deep-drawing), but not easily machinable. Because of its strong solidification requires appropriate facilities and tools. With strong deformation, the steel can become somewhat magnetic. Due to its titanium content, this steel is resistant to intergranular corrosion and, even when welded, can be permanently used up to an operating temperature of 400 ° C. This steel is easily weldable by all common methods, with the exception of the oxygen-acetylene flame. Depending on the welding conditions, a small proportion of magnetizable residual ferrite may form in the weld. Soft annealing after welding is superfluous. A high polish is not achievable here. Food and beverage processing and in medical technology. Also for all parts where the highest demands are placed on good welding work and chemical resistance. Mainly with pipes and wire.